Marin has unveiled the new Gestalt, its take on the increasingly popular gravel and adventure trend, with a disc-equipped aluminium bike packing some really smart details. We were at Marin’s UK launch this week to take a first look at this key new bike for the US brand that celebrates its 30th birthday next year. 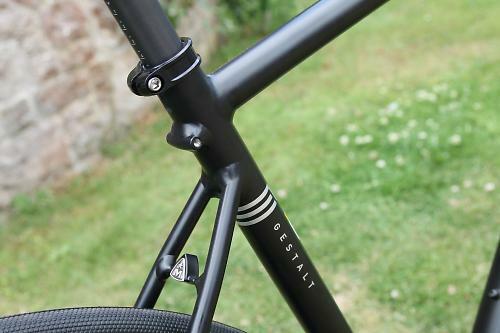 The Gestalt features an aluminium frame with geometry pegged somewhere between a road and cyclocross bike, a bit more relaxed and upright at the front and the lower bottom bracket from a road bike, to provide good handling. With 415mm chainstays the Gestalt should provide reasonably sprightly behaviour, making it a versatile all-round choice, from commuting to sportives, bikepacking and venturing off-road. The frame is bristling with nice details. There are mudguard and rack mounts of course, with a smart mount incorporated into the seat tube just below the seat collar. All cables are internally routed for clean lines. It has a tapered head tube, and an external bottom bracket. 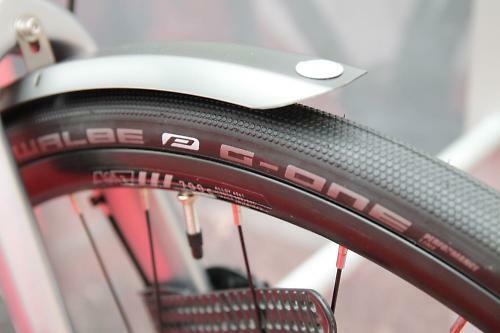 It boasts tyre big tyre clearance - The range-topping Gestalt will ship with 30mm Schwalbe G-One tubeless tyres on tubeless-ready rims across the range, the rest of the range have the same tubeless wheels but not tubeless-ready tyres. For the range-topping Gestalt, Marin has ditched conventional quick release axles and adopted thru-axles front and rear. They’re not regular thru-axles borrowed from mountain bikes though, instead Marin has worked with a US company called Naild which has developed an ingeniously simple thru-axle. 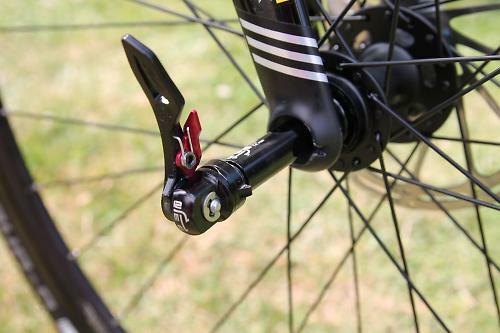 The Naild thru-axle is pushed into the dropouts, rotated 90 degrees, and the lever closed. A small tab helps locate the axle in the dropout. The company has cleverly built in a safety device to prevent the lever accidentally opened - there’s a smaller lever that has to be depressed before the main lever can be opened. It’s very easy to use. Yes, it takes a couple of goes to get used to it, but once you’ve got the action down, it’s remarkably quick. Quicker than other thru-axle systems and much quicker than a conventional quick release system. Marin is using a 15mm thru-axle at the front along with a 142x12mm rear. 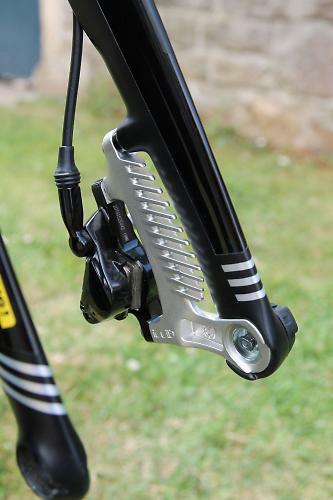 The hints we've had from other bike manufacturers regarding the future of disc brakes on road bikes is that many will eventually use a 12mm front thru-axle, because it's a bit lighter than the 15mm axles that are currently being used by some, but 15mm is the current front axle standard. The fork is interesting. 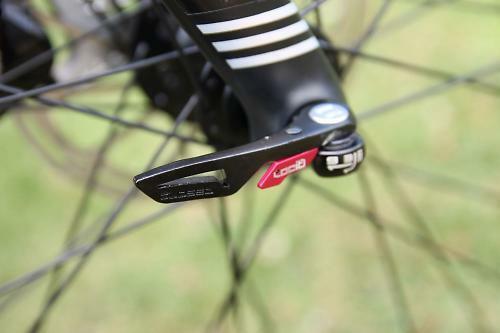 Marin has apparently done a load of its own testing with disc brakes, examining the heat produced by the disc brake and how the carbon fork copes with this heat. 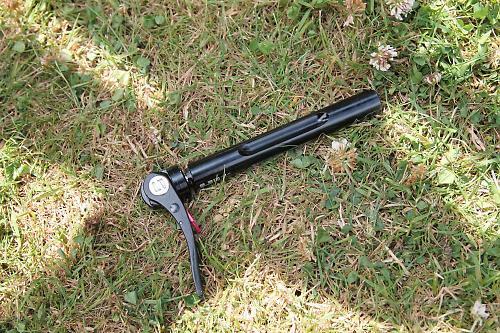 To avoid any potential issues with heat buildup, it has developed a heat sink integrated into the dropout and caliper mount, to help dissipate heat. It’ll be interesting to test this out on the road. Apart from Shimano’s IceTech finned brake pads, I can’t recall seeing any similar solutions put forward by other manufacturers. 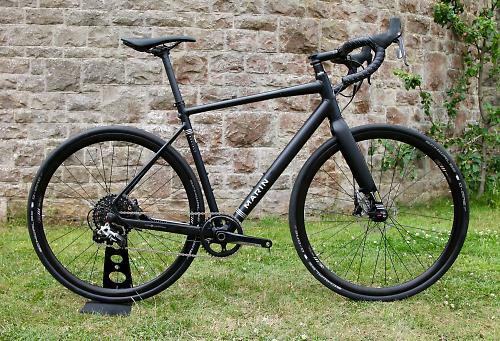 Marin UK will offer the new Gestalt in three builds, starting at £800 for the Gestalt 1 with a Shimano Sora drivetrain and TRP mechanical disc brakes, and Marin’s own tubeless wheelset with Schwalbe G-One 30mm tubeless tyres. 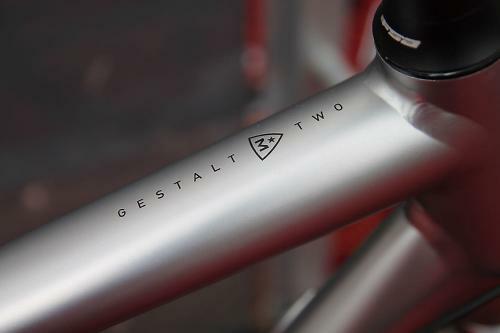 Next up is the Gestalt 2 which is bang on £1,000 and will definitely appeal to the cycle to work market. It’s arguably the smartest paint job in the range as well, and is specced with a SRAM 1x10 single ring drivetrain and mechanical disc brakes. 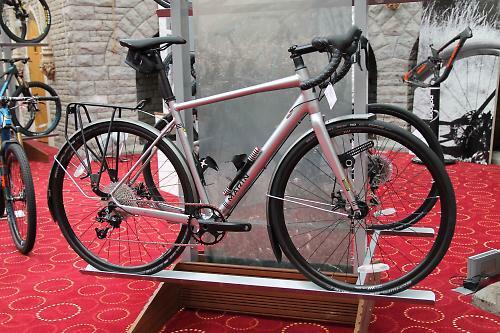 It’s pictured here with mudguards and a rear rack, the bike isn't sold with these accessories, this is simply to demonstrate the versatility of the bike. And this is the top-of-the-range Gestalt 3. 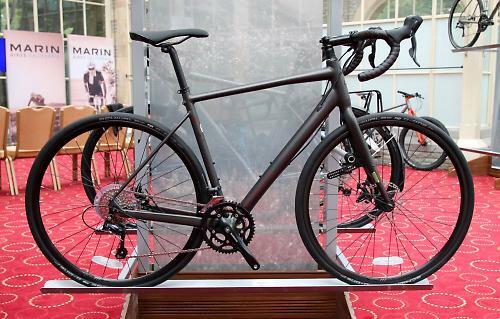 It costs £1,750 and again uses a SRAM groupset, this time Rival 1 with a 42t single ring and huge-range 10-42t cassette, which provides a huge slab of gear ratios that should be suitable for most situations and differint terrain. 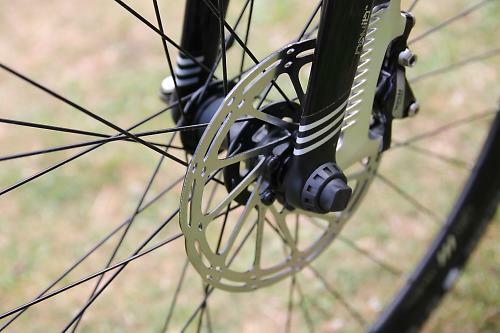 The brakes are hydraulic discs. 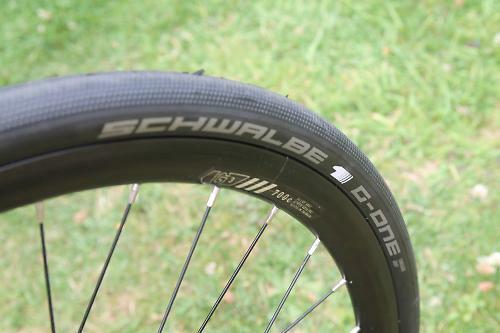 This bike comes with a Marin wheelset, with tubeless-ready rims and fitted with Schwalbe's new G-One 30mm tyres, with a novel tread pattern. 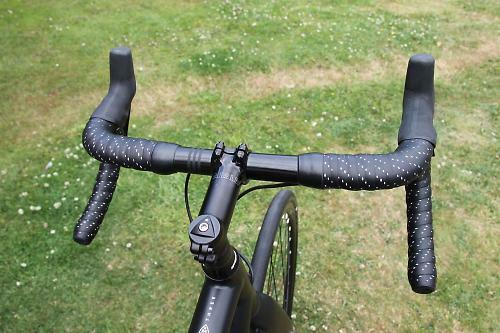 Like GT’s Grade the bikes come with slightly flared drop handlebars to provide a bit more control when riding over unpredictable terrain in the drops.